With the Academy Awards this Sunday, the independent cinema industry is alive and well here at HOME as we celebrate our best week of sales to date. 9500 (and counting) people have already seen the hotly tipped Three Billboards Outside Ebbing, Missouri, which swept up at the BAFTAs last weekend. 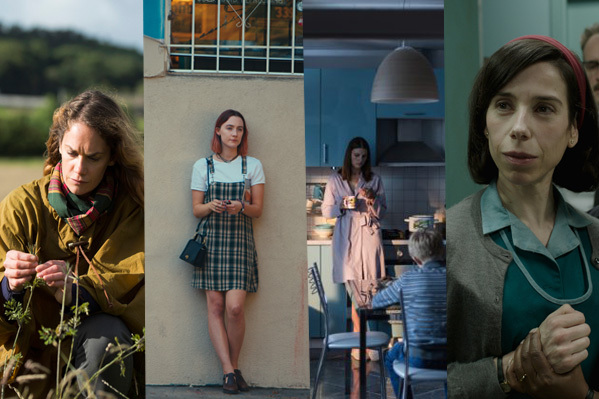 However it was Greta Gerwig’s Lady Bird that became HOME and the Cornerhouse’s best opening film ever, surpassing La La Land, I, Daniel Blake, and Three Billboards. Controversially snubbed for Best Director at most major award ceremonies, we’re delighted to have opened Gerwig’s solo directorial debut a week before any other cinema in the region as a result of our continued platform for female film makers.